SHORE is a wellness-focused lifestyle and design brand pioneering the field of ergonomic rugs. We believe a rug can be both beautiful and exceptionally functional. Our signature product, Shore Rugs™, engender wellbeing through a uniquely luxurious experience of health, comfort, and craftsmanship. 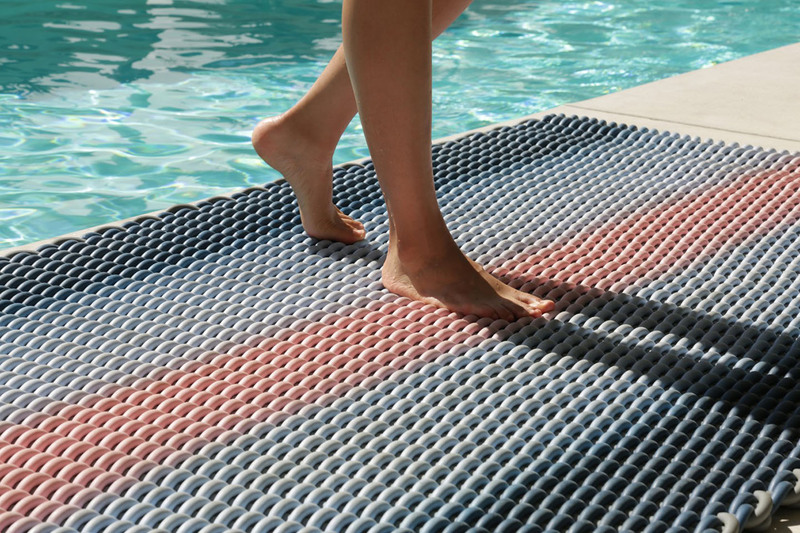 Synchronizing rigorous material research with an innovative craft approach, we create highly sophisticated products of surprising beauty and usefulness that are equally at home in high-end interiors, on poolside decks, and in offices and workspaces. We believe that the spaces we occupy and the objects we own should be more than just beautiful and well made, they should aid us in becoming our best selves. SHORE’s founders, Louie Rigano and Gil Muller, met while studying at the Royal College of Art in London. With an interest and passion for materiality, craft and technical innovation, they founded SHORE, an innovative rug company. They share a belief that technical innovation and beautifully crafted design need not be mutually exclusive. Working at the intersection of material research and craft tradition, the team challenges traditional conventions assumed by rugs and is finding new and highly functional roles for an object that has been with us for millennia.